We understand the pain. We’re a business too. Yes TBI is a technology distributor. Yes we know the latest technologies and work with all the leading providers. But when it comes down to it, we’re still a business. Just like your customers. We grow, our needs change, our workforce fluctuates, we implement new strategic initiatives and navigate budget constraints. From time to time we need to take a look at our own IT infrastructure and evaluate. Because we’re facing the same pain points as your customers, we’re sharing our technology challenges, solutions and outcomes. A few years ago TBI was in the market for a new data backup system and started exploring our options. We were housing data on-premises at the time, with a single room in our facility being used for data production and backup equipment. Looking to upgrade our disaster recovery efforts, we began considering an offsite backup location or backup tape rotation. Even as IT experts, the decision was not clear-cut. Like any business, we needed to weigh our options and determine the best solution for our unique needs. One choice was to buy an on-premises backup tape solution and pay for weekly backup services; in the event of a disaster only a week of data would be lost. Although a strong and reliable option, expenses were high: equipment was quoted around $10,000, annual maintenance on the equipment was 20% of purchase and monthly services were estimated at $250. 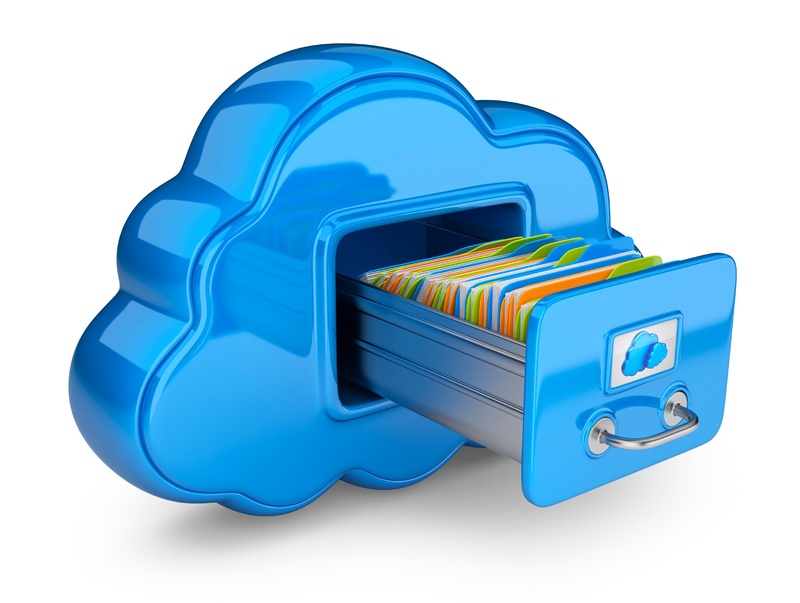 Another option was to utilize an online backup service through the cloud. The implementation process seemed relatively simple given our current setup. Implementation was fast and relatively easy, with setup taking only a couple hours. The cloud offered substantial financial benefits as well. Along with eliminating thousands of dollars in upfront costs, we saved on monthly backup fees and equipment maintenance expenses. We now pay for a yearly SingleHop subscription based on our cloud backup needs. In upgrading our organization’s backup system, TBI was able to leverage the existing infrastructure containing 2 HP hosts, 8 Virtual Machines, 1 EMC SAN, 1 QNAP NAS, VMWare software and Veeam software. Our IT team now has the ability to replicate a virtual machine in the SingleHop environment for any of the VMs backed up in the cloud. Backups require minimal bandwidth and our IT team has 24/7 online access to data, with the ability to restore a single file or a full server if necessary. The solution that we now have in place offers us peace of mind knowing our data is safe in the event of a disaster. Like most organizations, we needed to implement a flexible and scalable solutions that could adapt as our business needs change. The Information Technology (IT) Department manages the technology necessary to effectively and efficiently accomplish our mission to serve the partner community. This department oversees the complete technology infrastructure supporting TBI’s Chicago offices and remote locations. It provides technology services including telecommunications; LAN/WAN networking; e-mail and web access; operating system software and equipment support; application deployment and management; servers; and troubleshooting of all technology services through HelpDesk. Additionally, the IT team proactively manages the procurement of computing equipment, software, licenses and maintenance contracts. The department also participates in the research and deployment of new technologies. TBI is one of the nation’s leading third-party technology distributors. For more than 25 years TBI has been assisting IT consultants, VARs, MSPs, and more than 2,500 other industry professionals to source, advise and quote the right customer solutions. TBI serves as our partners' advocate, ensuring the most competitive prices and trouble-free provisioning of cloud, internet, data, mobility, voice and managed services from over 70 service providers. Through a variety of training programs, marketing support, and back-office tools, TBI empowers our partners to be the foremost authority and single source provider for all of their customers' technology needs. For more information, visit www.tbicom.com.